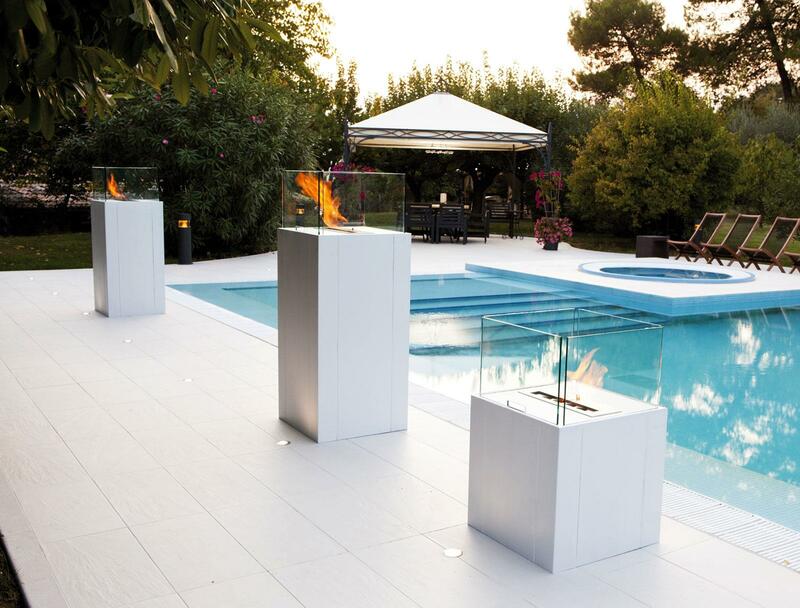 Outdoor or indoor floor bio ethanol fireplace. Metal frame, tempered glass protection. Twin is a bio fireplace by the essential design thought for decorating the private and public indoor and outdoor spaces. It is a contemporary interpretation of the fire to animate and heat the most exclusive evenings. Design is by Massimo Botti. 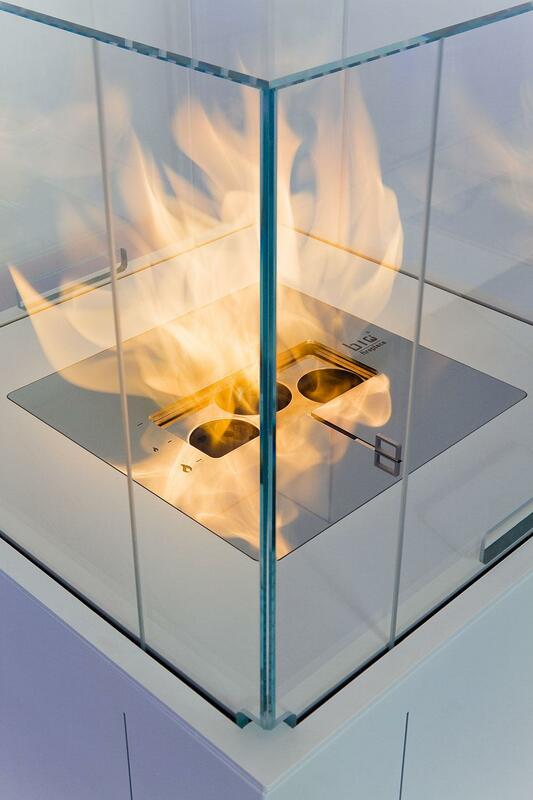 The sure and elegant glass protection and the patented burner ensure a flame constant also in the presence of wind. 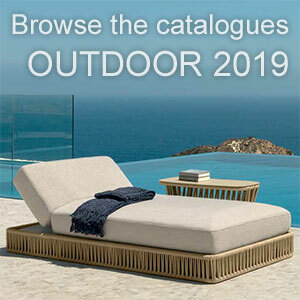 Its design makes it perfect for sophisticated and refined outdoors, where no detail is left to chance and the warm feeling of the flame may be an additional element of pleasure. Twin is made in electro-galvanized metal and tempered glass. Glass is 8 mm thick and it’s in a special extra clear version. It’s finished in two colour options: white and black. The three models weigh respectively 11, 30 and 45 kg. Burner has 2 liter bio ethanol capacity. Autonomy is 4,5 to 9 hours, according to the desired flame intensity, adjustable. 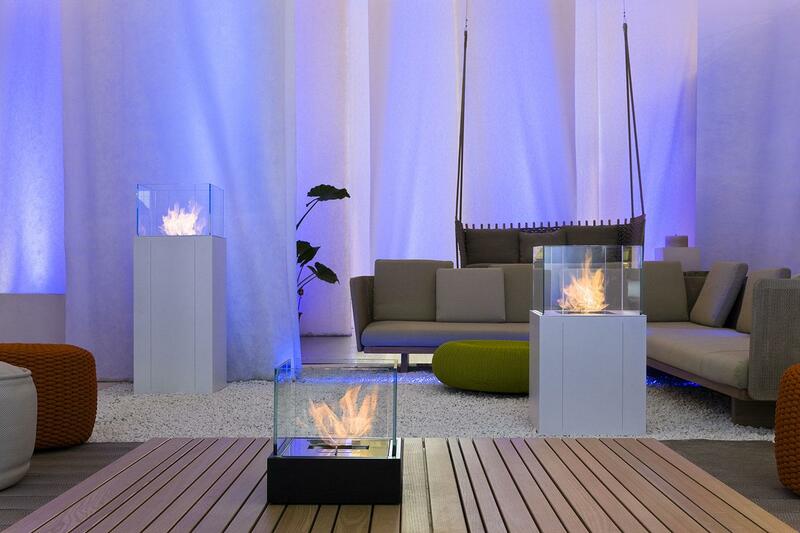 The bioethanol fireplaces are becoming more common in reception points for the feeling of relaxation that the flame transmits. A model such as Twin, entirely made in Italy, will complete the aesthetics of the best outdoors.